O whop bop-a-lu a whop bam boo! I garnished the ice cream here with mustard flavoured candy floss in pink and yellow! One of the recipes I made for my Maille mustard pop up nights. 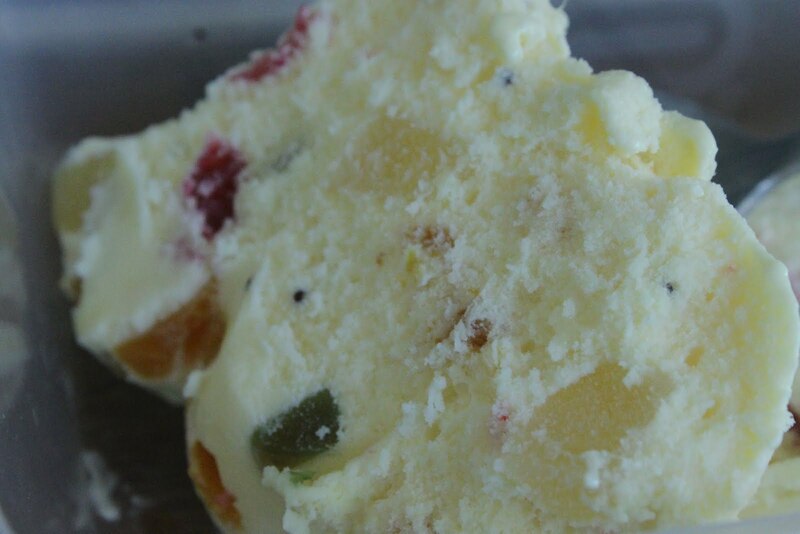 Classic Tutti Frutti ice cream was invented in the states in the 1950s after the creators daughter ‘Toodie’ (no this is not an episode of The unbelievable Truth). While no longer in it’s heyday in the west, Tutti Frutti remains a popular flavour in India. 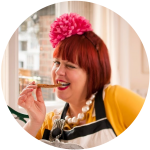 Creating a mustard dessert was probably the biggest struggle in my Maille mustard pop up supper. I discovered mostarda di frutta at Theo Randall’s restaurant, accompanying a cheese board. I mused upon this condiment with candied fruit and mustard essence as a possible contender in the search for a mustard pudding. 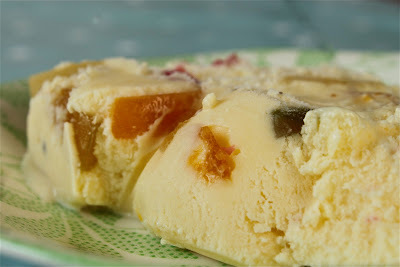 Ideas in Food, an innovative blog, suggested ice cream with mostarda di frutta. The background flavour consisted of creme fraiche ice cream with lemon, to cut through the creaminess and sweetness. Lemon is a great match with mustard. A version of this recipe can be found in my book (order here). manufacturer’s instructions. 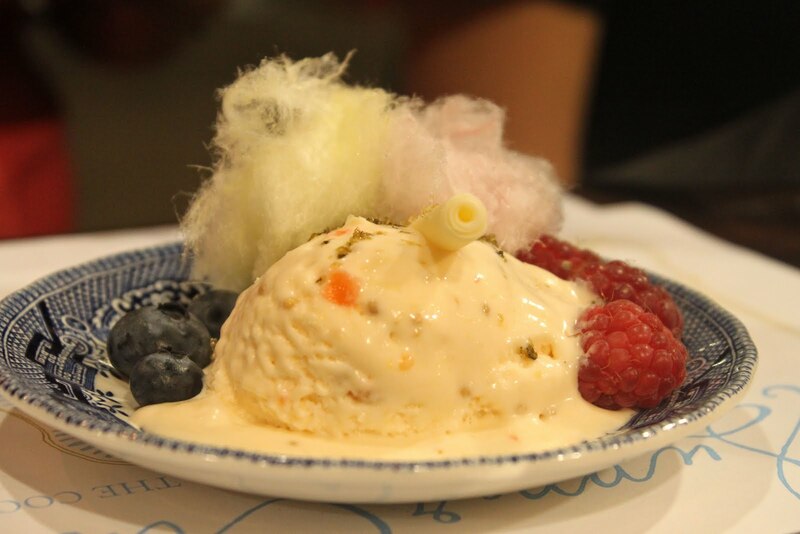 Then scoop (as best you can) over your dessert. will soften evenly, not just the edges. I’ve been candying my own fruit recently. 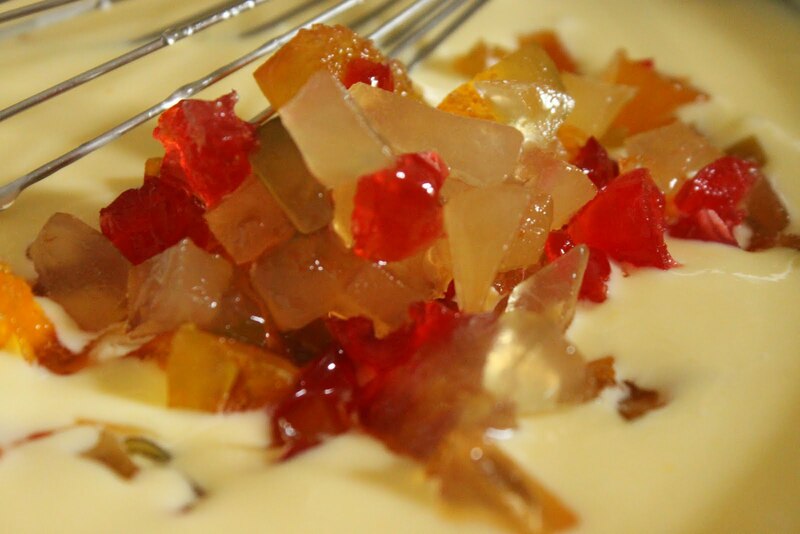 I found it easy though time-consuming to make, but better than shop bought candied fruit where every fruit looks perfect but tastes identical. You’ll need light corn syrup though. Here is David Liebowitz’s version which took days. I managed in two days to candy an entire pineapple. Just add mustard oil from your local Indian shop to turn it into mostarda di frutta. Oh wow! This looks really good! When I was younger I really didn't like candied fruit, but my tastes have changed and this looks delicious! Making my own ice cream is high on my "to make" list. Thanks for the great post!